Trim the heads of the prawns by removing the feelers but leave the heads on. Wash the prawns and pat dry. 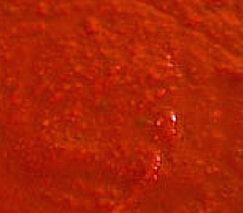 In a food processor, puree the chillis and garlic together to make a rough paste. Heat the oil in a wok, and when it smokes, add the chilli-garlic paste and stir fry until fragrant. Add the prawns and stir fry until the shells turn red, about 5 minutes. Add the soy sauce and stir fry until well-mixed, about 1 minute. Serve with hot steamed rice.